Pharmaceutical companies the world over are facing a huge increase in the number of falsified medicines on the market. It is for this reason that the sector has come together to set up a modern security network to safeguard the seamless traceability of the origin of medicines, thereby ensuring that their precious original preparations continue to enjoy the utmost trust of patients. The day is fast approaching when manufacturers will be required to evidence the origin of their products like a thread running through every stage of the production process. Tracking & tracing includes the seamless documentation of packages, shipping crates, and pallets, too, so that every stage of the manufacturing and distribution process can be seamlessly evidenced. 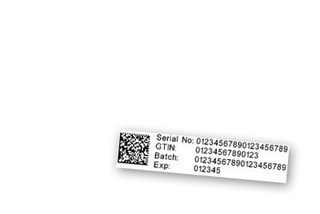 Whether tracking & tracing, authentication, e-Pedigree, or serialization: With Wolke systems you can rest assured that your products will be marked in accordance with legal requirements. As a pharmaceutical manufacturer, you can rely on Wolke m600 printing systems to meet each and every one of your serialization requirements easily and without a hitch at all times. Need more information on our products and services? Please contact us.